Dallas Burger Quest, our National Burger Critic's local stop on his journey to find America's best burger, will come out on Wednesday, October 12. 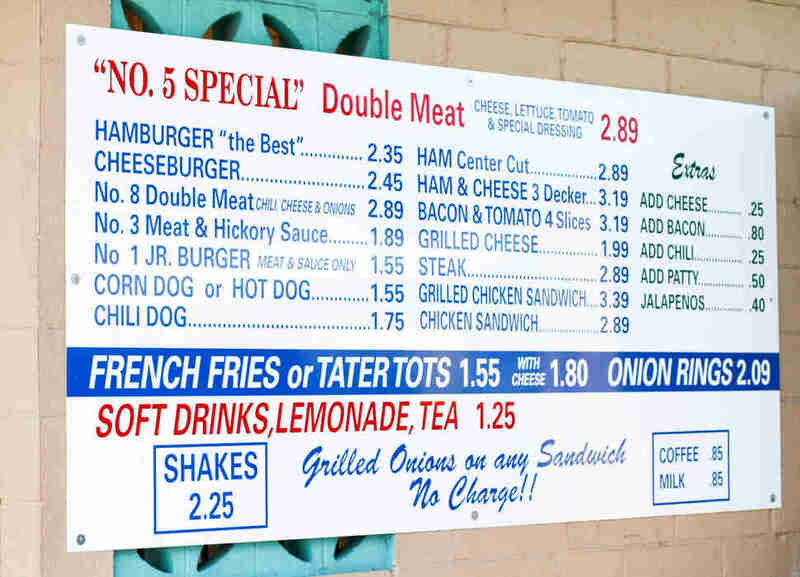 I made two rookie mistakes when I pulled into Keller’s Drive-In on Northwest Highway in Dallas. The first was getting out of my car at all, though that could be forgiven. The second much less forgivable trespass was attempting to walk into the restaurant. And that’s what they do. 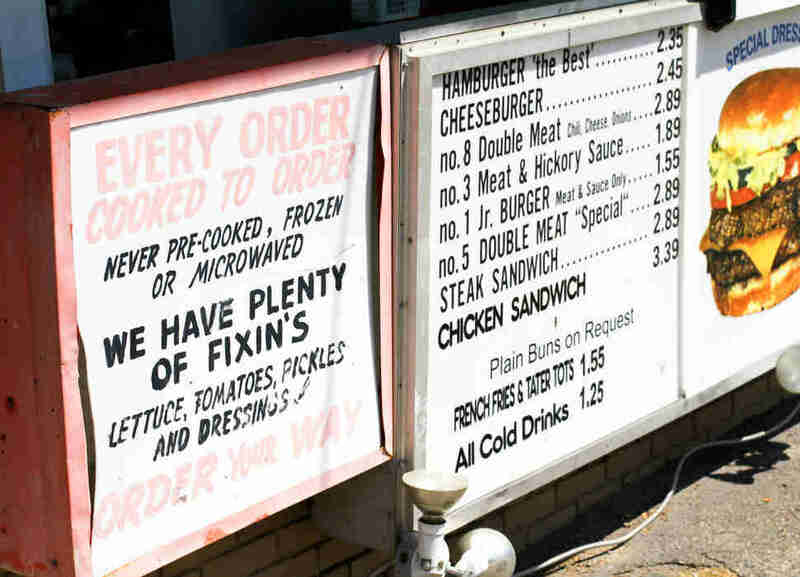 The menu, which is bolted up on the cinderblock wall, features six burgers, corn and hot dogs, ham, bacon, steak, and chicken sandwiches. A cheeseburger is $2.35. The most expensive menu item, the grilled chicken sandwich, is $3.39. Extra bacon is 80 cents. Chili is a quarter. Grilled onions are free. What a world. 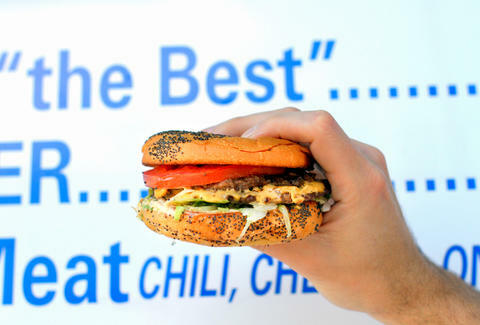 As instructed by various Dallas residents, I ordered the most popular burger, the “No. 5 Special,” which is a double patty with cheese, shredded lettuce, tomato, and “special dressing.” It is every bit the diner burger you’d think it was, but the details make it perfect. The double patties basically conjoin thanks to the cheese and the special sauce, creating a laudatory creaminess that blends nicely with the grilled meat, and the cool crunch from the shredded lettuce and tomato. The bun is perfectly griddled and refuses to succumb to the wet mess heaped atop it. Also, in a sort of strange twist, it has poppy seeds on it, which my photographer insisted is very common in Dallas. This was strange to me. Although poppy seed hot dog buns were ubiquitous in Chicago, on my journey around the country, I’d never seen more than an occasional poppy seed hamburger bun. 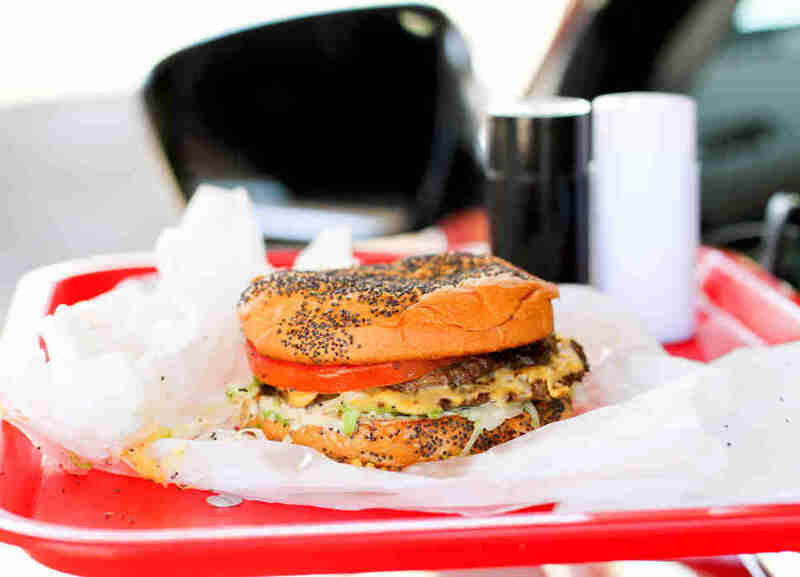 So I dug around a little bit, and indeed it’s true of many of the old-school North Texas hamburger spots: the Dallas burger joint chain Snuffer’s, which opened its first restaurant in 1979, uses poppy seed buns. Chip’s Old Fashioned Hamburger, opened in 1981, has them as well. As does Jake’s, a small burger chain that’s been around since 1985. The problem is: no one seems to know why exactly they do it. My waitress at Keller’s didn’t know. “It’s just how we’ve always done it,” she said. A few calls around produced similarly evasive answers. I asked local food journalists, and though no one was quite sure, the best guess came from Nick Rallo at the Dallas Observer, who thought it might be an homage to "old German poppy seed-flecked pastry recipes." In the end, it could just be a classic case of follow the leader. 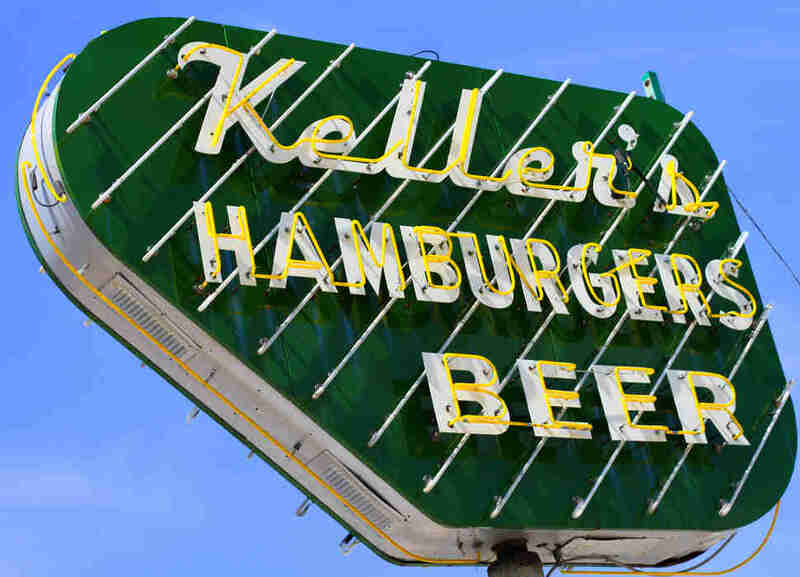 Keller's was a successful burger chain, it had poppy seed buns, so others followed suit and it became a trend. But still, it remains a mystery. “WHAT ARE YOU AND YOUR POPPY SEED HAMBURGER BUNS HIDING FROM ME, DALLAS?” I shouted at the sky. Somewhere over the trees, a crow cawed, but I think that was just a coincidence. Sitting next to the covered parking spaces close to the menu is a little greenish shed. 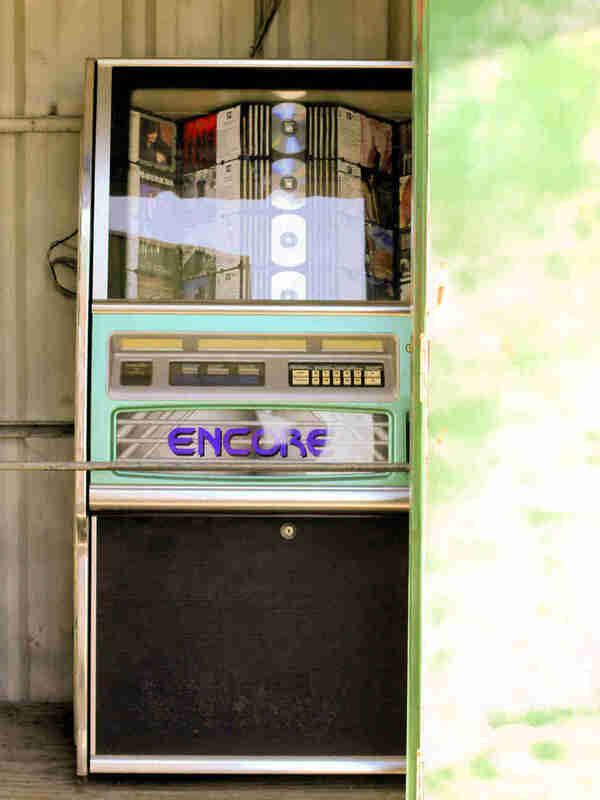 If you shove one of the doors aside, it reveals a jukebox you can play while you wait for your burgers. There is nothing else in the shed. When I tell you discovering the jukebox was one of the more satisfying accomplishments in my life, I’m only using slight hyperbole. And though I saw all of those people eating their No. 5s or No. 8s or No. 3s or No. 1s and enjoying the George Strait on the juke box, I realized that a place like Keller’s may bring them together in proximity, but each group is fenced off in their own car. 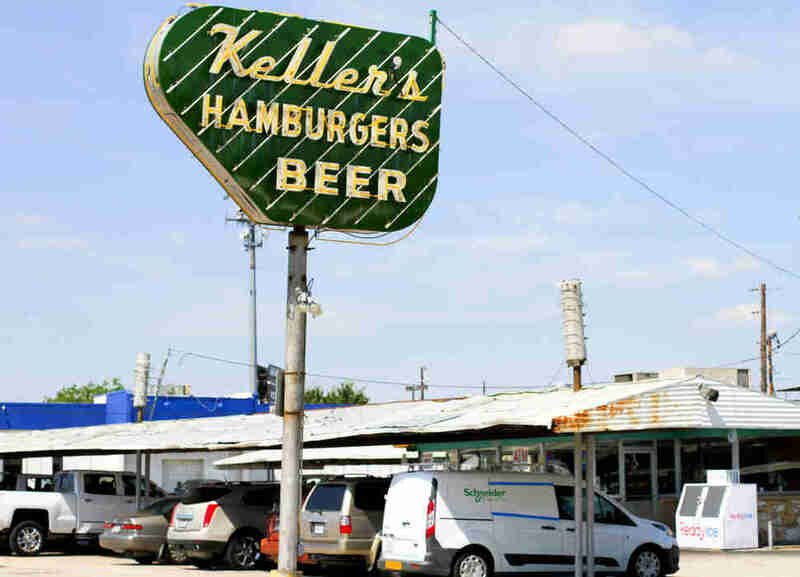 At Keller’s, it’s really just you, your car, and your burger. Drive-ins, in many ways, are solitary places that feel communal. It’s like eating a meal in a library cubicle, except with better music and beer. And that’s actually kind of a nice thing. So much of eating in cars is on the go, as drive-thrus replaced drive-ins, the kind of eating that is strictly sustenance- and convenience-based. At Keller’s, sitting in your car, it’s the opposite. You’re not grabbing random bites as you drive, trying not to spill ketchup on your blazer, or cramming as much as possible in at the stoplight. You can sit back and reflect on your day, your week, or hell, your life. Or you can just, you know, eat your burger. In the end, I apologized to my waitress for walking into Keller’s. “It’s alright, honey,” she said. And then she tapped the side of my car twice, the Keller’s version of a pat on the shoulder, and walked back inside to get another order. Kevin Alexander is Thrillist's national writer-at-large and now better understands why an editor at Thrillist who grew up in Dallas is named Keller. Ply him with tales of juke boxes in sheds @KAlexander03.